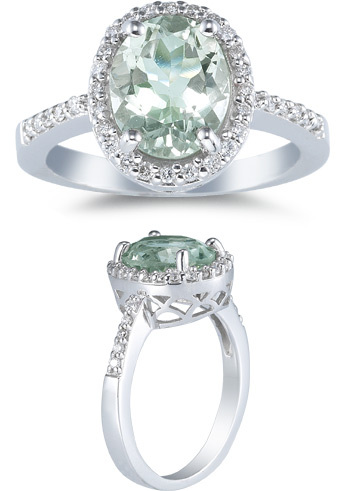 Set in Sterling Silver, this unique oval-shaped Green Amethyst gemstone weighs approx. 2.80 Carats and measures 10mm x 8mm in size. Side stones are clear, white cubic zirconia stones. We guarantee our Green Amethyst Gemstone Ring in Sterling Silver to be high quality, authentic jewelry, as described above.